I encourage you to go vote yourselves, but I thought I’d share my picks and why I made them. Ron Hunter falling off his chair, UAB over Iowa State, crying Nova piccolo player…And to do so without Steve Kerr and Greg Anthony too?…Thanks, Raftery. 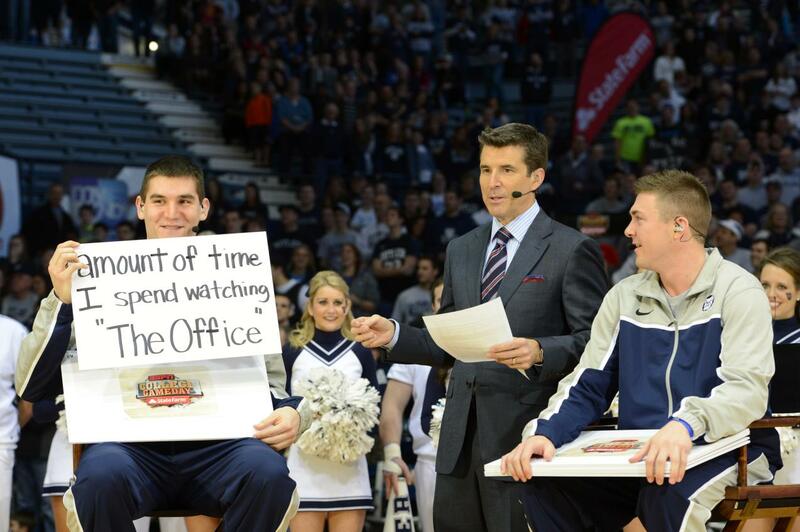 And “One Shining Moment”. One of the greatest athletic achievements in the history of the United States, in the view of its opposition. Enough said. This show is about as entertaining as it gets and Charles Barkley is a big reason for it. Shaq feels forced and awkward, but they make the most of his deficiencies with humor. When Kenny Smith isn’t spoiling slam dunk contests over the public address system, he is an excellent analyst. And Ernie Johnson’s bowtie game is flawless…I considered College GameDay, but the celebrity picker segment can be a mixed bag and makes me want to change the channel. The Dan Patrick Show is my kind of show. I would love to work on that show and with their team. They have excellent chemistry including the producers on topics with Patrick. Nothing is forced. There isn’t an agenda. 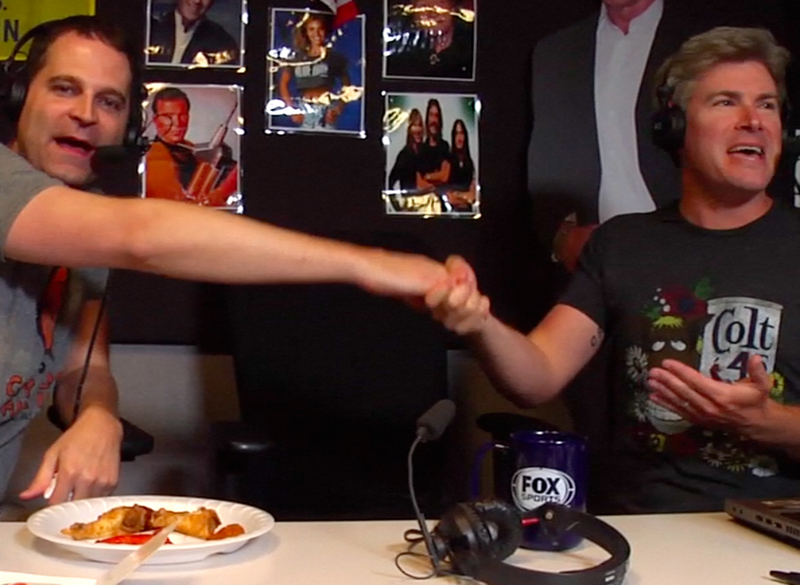 And it’s entertaining each and every day…even when there are guest hosts for the show. This used to be SportsCenter for me, but they care more about debates and analysis from “experts” I don’t want to hear from than the highlights I want to tune in for. He may not have the greatest or most informed opinion, but you’d be lying if you said it wasn’t entertaining. That’s why he has hosted SNL a handful of times…I would say that I also considered Joel Klatt and Doug Glanville because their content and insight is incredible. There are excellent names on this list. Doc Emrick is the pro of pros and should have been my pick. 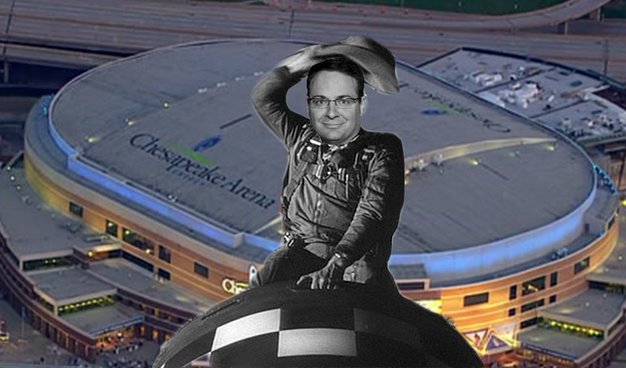 However, I’ve fallen in love with the job Ian Eagle does. He is that great mix of “New School” and “Old School”. He has this impeccable skill of remaining calm and professional while emphasizing excitement on a huge play. Awesome sense of humor and has that ability of making a blowout sound interesting. The point I made about Emrick in the category before applies here. 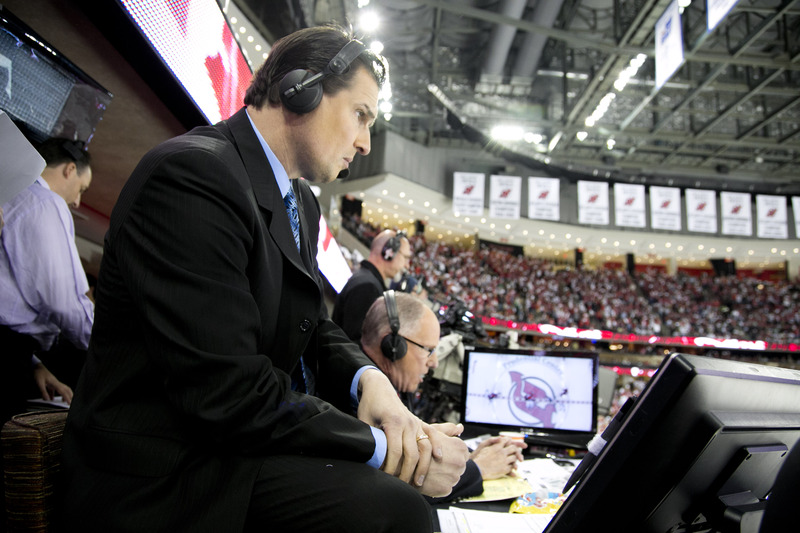 Eddie Olczyk is aware, he’s objective (even when his Blackhawks are on the national broadcast), and he helps teach the audience the game. John Smoltz does a similar good job, but I don’t get enough Smoltzy to hold him in that high of a regard. Hubie Brown also gets consideration because he will at least call the game he is assigned to…unlike Jeff Van Gundy. I love the work Rachel Nichols does. Doris Burke deserves more credit for what she brings to a broadcast. And Brian Engblom is a badass…But Feherty is just so…Feherty. Bob McKenzie is very close to being this guy for the NHL, but Adrian Wojnarowski is the definitive newsbreaker for the NBA…In the NFL, Schefter and Jay Glazer along with several others battle each other for that title. Ken Rosenthal is great but is in a same situation as the football guys battling with Jon Heyman and others for scoops. Only one of these guys has their own #hashtag designated to them and makes you refresh their Twitter timeline for breaking news: #WojBomb. I don’t listen to many podcasts and I’d really like to change that, but Jay Onrait and Dan O’Toole have the personalities and opinions that I want more of after they are done with a shift on FOX Sports Live. I hear ‘Men in Blazers’ is great, but I don’t watch soccer. And I don’t like Bill Simmons…like REALLY don’t like BS. Again, some very good people to choose from. Jay is hilarious and so is Van Pelt. Jay Bilas is fascinating with his hip-hop knowledge. Bruce Arthur gets plenty of Retweets. Spencer Hall gets me with his appreciation for Justified and similar TV programming. And I used to like Katie Nolan the most until she turned her platform into immature mob shaming….Richard Deitsch is my guy though. There are few people as consistently informative as Deitsch. He is unbiased and fair in his critiques of all media outlets. Deitsch also gives you credible insight into these outlets that you won’t always find elsewhere. In my years of covering ESPN, this truism has emerged: When Deadspin goes in on an ESPN staffer, ESPN almost universally redoubles support. I loved the Jay Glazer feud with ESPN because he was calling them out on something many have been complaining about for years. But sometimes Glazer gives me that “Guy Fieri” vibe and that’s just uncomfortable for everyone involved…Dan Patrick vs. Colin Cowherd was the most compelling, and resulted in the best Mortal Kombat style finisher. FATALITY. 14) Sports Media Entertainer of the Year – Which sports personality had the best year? 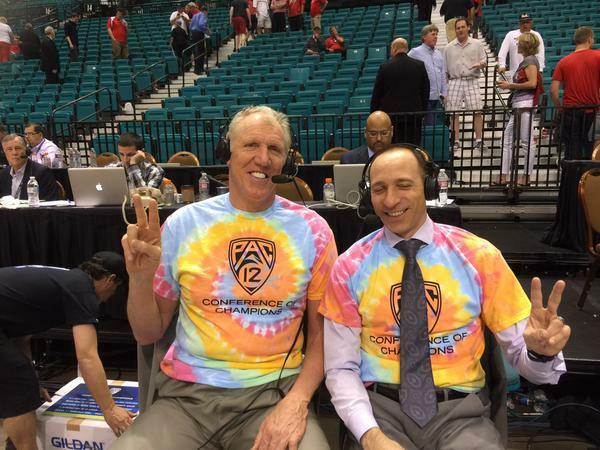 I can only explain this with a simple question…WHEN ISN’T BILL WALTON HAVING THE BEST YEAR? Agree? Disagree? Make YOUR picks at Awful Announcing and let me know who you chose on Twitter @Mike_PiFF03.